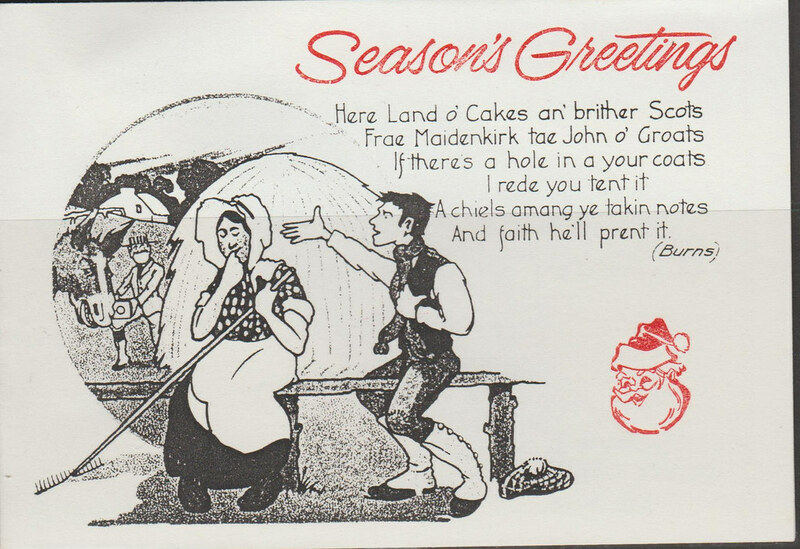 The second one is a card with a Cinderella depicting his lover Agnes (Nancy) MacLehose. 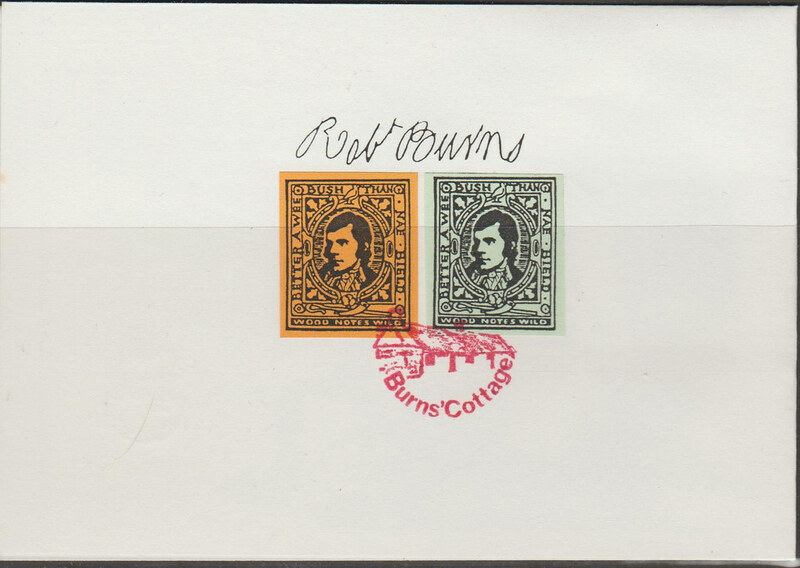 For many years they conducted a relationship under the pen names Sylvander (Burns) and Clarinda (Nancy) until she finally left him to return to her now wealthy husband in Jamaica. 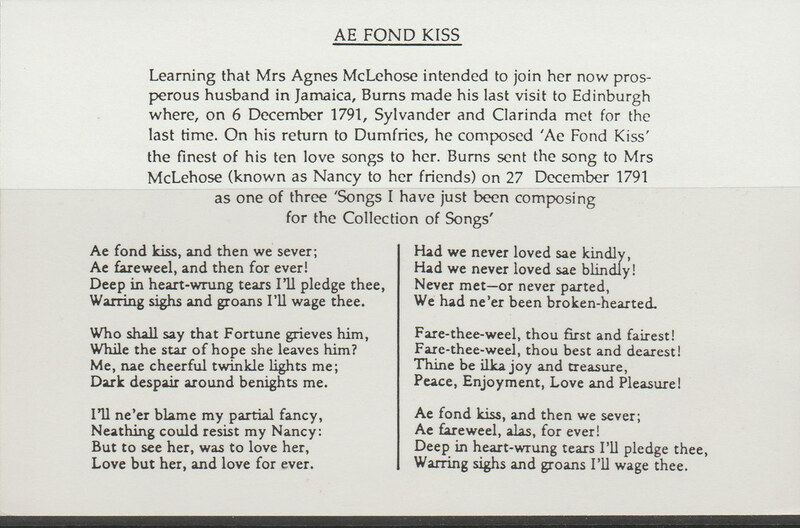 The reverse of the card features the song that he wrote to her after their final meeting, 'Ae Fond Kiss'. This was, perhaps, his greatest and most heartfelt poem/song. 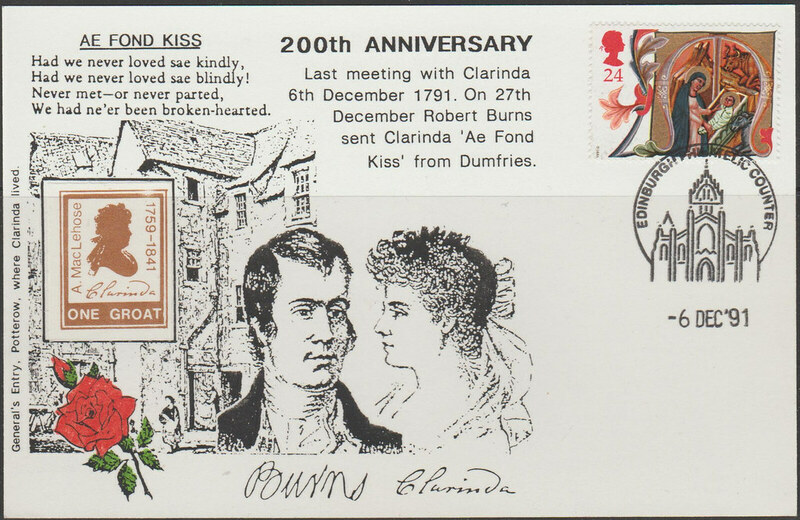 Although heartbroken, Burns bore no ill will either to the husband, referred to in the song as his 'partial fancy' and wishes upon Nancy in a statement of resigned passion: 'Thine be ilka (all) joy and treasure/ Peace, Enjoyment, Love and Pleasure'.